It was New Year’s Eve 2008/09 and the usual New Year’s Eve party was planned down on the vacant block on Lower Coast Road, under the star filled sky of Stanwell Park, in northern Wollongong. This is where four friends decided that this year was going to be different and wrote several songs to really get the party going. It was then that Lower Coast Skies was formed. From that humble beginning Lower Coast Skies has evolved into a high energy four piece rock band, whose songs are infectiously catchy, with fans saying “LCS songs stay in your head for days”. 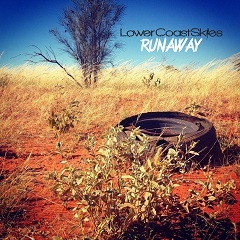 As a band, Lower Coast Skies draws influences from such great acts as The Ataris, Millencolin and Bodyjar. They have worked hard in the studio crafting their songs for their debut EP ‘Memories in Slow Motion’, released May 2010, which has left listeners wanting to hear more. Lower Coast Skies is a collaboration of four unique individuals, each having their own personal influences which helps create that Lower Coast Skies sound. They have a strong work ethic and create quality radio friendly music which draws a fan base from across various musical genres; hence this is a band that is going places. Lower Coast Skies are seeking interested parties that would like to partner with them in their band. They are looking to work alongside people with a genuine interest in their product and to promote a product they feel strongly about.